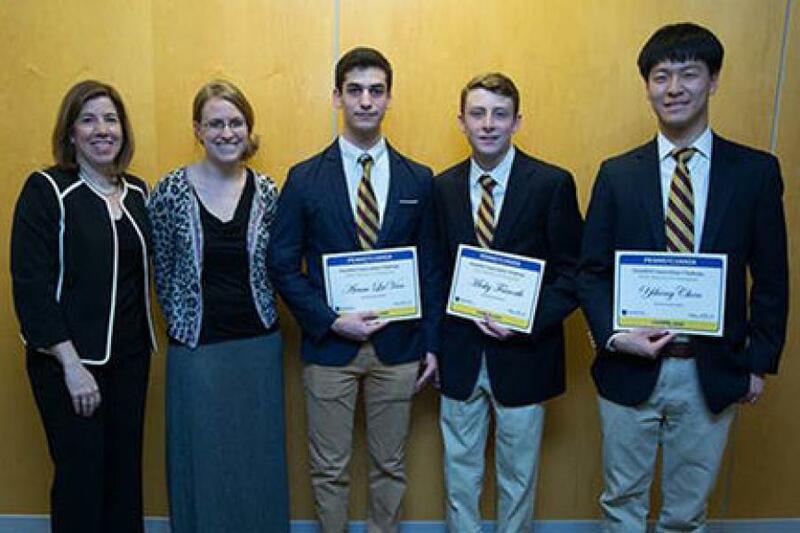 The Pennsylvania Department of Transportation (PennDOT) announced that a team of students from The Haverford School, Montgomery County, has been selected as the statewide winner for its inaugural Innovations Challenge. Launched this school year, the PennDOT Innovations Challenge is a statewide competition that called on teams of students in ninth through 11th grade to use their problem solving, creative and strategic-thinking abilities to solve a specific real-world transportation challenge. Students were asked to look at technologies and innovative methods, aside from traditional paid advertising, marketing and social media channels, that can be developed in the next five to 10 years to curb unsafe teen driving practices. Mentored by Holly Golecki, Upper School Science, director of robotics, statewide winning team members include: Yiheng Chen, Micky Fairorth, Aram LaVan and Will Vauclain. The team's innovation was a machine-learning based attention analysis tool for use on smartphones that incorporates the device's existing technology. Using the built-in high-precision accelerometer and gyroscope, the platform can detect real-time speed, acceleration and send alerts when unsafe driving practices are detected. Additionally, since the accelerometer can detect lane changes and drifts, it can monitor the frequency and quality of the teen's driving behavior and focus. Seven regional winners were selected from 71 total entries to move on to compete in the statewide competition on April 24 in Harrisburg. Winning teams presented their solution to this year's challenge to Richards and a panel of PennDOT judges who selected the statewide winner.